Can you believe that there’s actually a day dedicated to toothaches? It’s true! 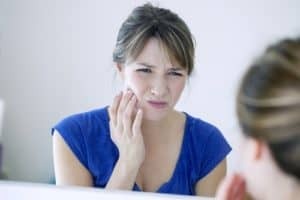 February 9th is recognized as National Toothache Day, and in honor of this ‘holiday,’ the team at our dental office in Wicker Park is here to celebrate by giving you advice on how to ease toothache pain. The truth is, toothaches don’t usually just pop up out of nowhere. They’re typically a sign of an underlying problem. While at-home toothache remedies can provide temporary relief, it’s wise to see your dentist in Wicker Park sooner rather than later. Early intervention will help diagnose any problems quickly and when treatment is usually easier and more successful. Nobody wants to experience a toothache. They’re painful and annoying for anyone, and the discomfort can absolutely affect our quality of life. When and if you get a toothache, treat it gently and with care and schedule a visit to our Wicker Park dental office as soon as you can. The best ways to avoid a toothache in the first place is to make sure you’re brushing and flossing properly every day and getting dental checkups at least every six months. Practicing preventive care can reduce the risk of toothaches and help keep painful problems away. We’re always welcoming new patients at our dental office and welcome you to schedule an appointment with us today!